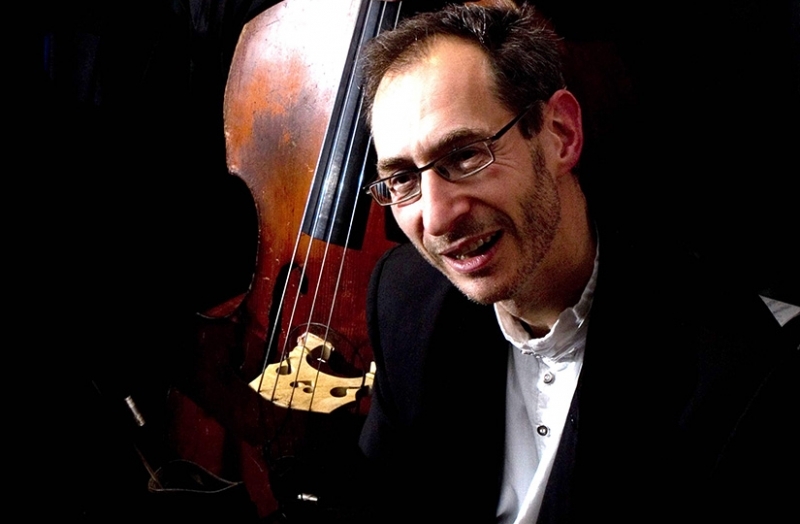 An assured and versatile pianist, David Gordon is one of the few professional jazz musicians who is also a well-established classical artist. An accomplished harpsichordist as well as pianist, David includes work with the likes of the Orchestra of the Age of Enlightenment and the European Baroque Orchestra and as an award-winning jazz and classical composer he has had works performed on BBC Radio 3 as well as Cheltenham Festival and QEH. As a jazz pianist he has a repertoire that focuses on original compositions by the band, but also includes material as diverse as folk music from Venezuela, East European dance music and Celtic-tinged melodies. After the critical acclaim given to the trio’s recent fascinating project “Alexander Scriabin's Ragtime Band” - ‘one of the finest trio records I have heard in a very long time’ (Stereopluss, Norway) and Mojo’s Jazz CD of the Year - their new project ‘Pachyderm’ marks a return to the group’s original compositions, flecked with occasional unfusty references to Bach and the baroque. Making up the rest of the trio will be Oli Hayhurst-bass and Paul Cavaciuti-drums. David is a world class talent with a playful sense of humour, which makes all his shows both musically innovative and a lot of fun.